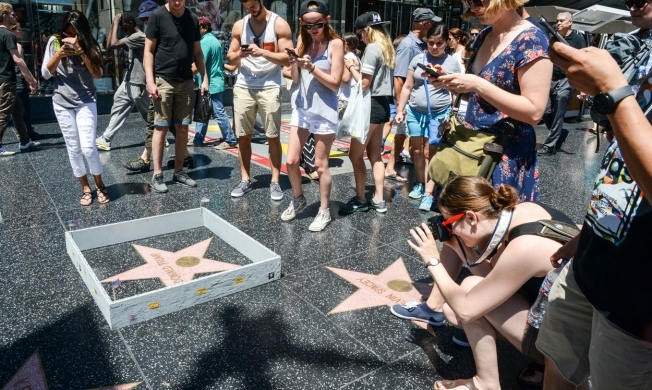 A Los Angeles-based street artist built a miniature wall, featuring razor wire and "Keep Out" signs, around Donald Trump's star on the Hollywood Walk of Fame. Visitors gathered around the star Tuesday, snapping photos before it was removed. Trump's star is in front of Forever 21 clothing store in the 6800 block of Hollywood Boulevard, a prominent location on the Walk of Fame not far from the Hollywood and Highland Center. The 6-inch tall wall, which formed a barrier between Trump's star and that of "House of Cards" actor Kevin Spacey, was built by the British artist known as Plastic Jesus. Known for his guerrilla-style street art, Plastic Jesus also installed "No Trump Anytime" signs outside Trump Tower in Chicago, as well as in other prominent locations around the U.S. and London. He created similar signs that read "No Kardashian Parking Anytime" and other works that take on celebrity culture. The installations are usually left in place for a short time, then removed. 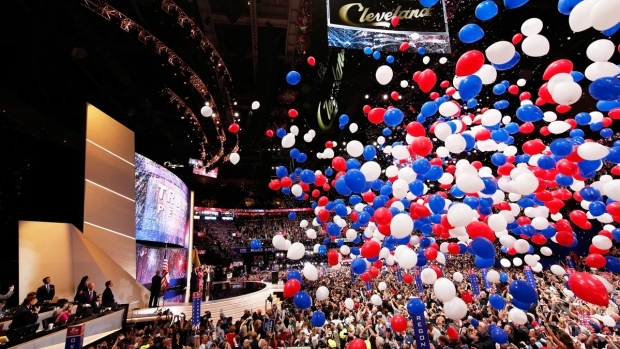 Trump, who became the Republican presidential nominee Tuesday on the second day of the party's convention in Cleveland, has proposed a wall along the U.S. border with Mexico to keep out unauthorized immigrants.